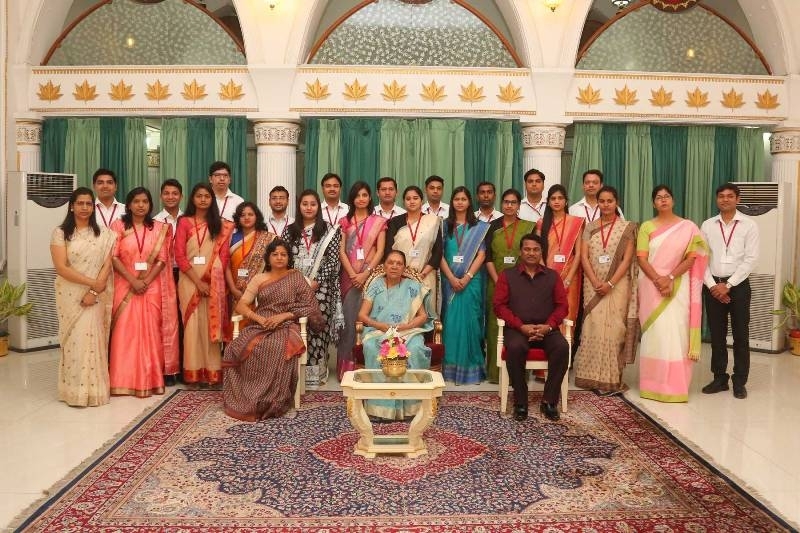 Bhopal: Addressing newly-appointed trainee State Administrative Service officers at Raj Bhavan today Governor Smt. Anandiben Patel said that the senior and junior officers must work together in coordination. Officers must work in good governance and maintain a feeling of respect for the general public. He told the officers to fulfil all responsibilities entrusted to them by the government with honesty and not to delay decision on related works. Governor Smt. Patel said that maximum irregularities surface cases of mutation in revenue. Pendency of cases in this department result in crime, murders and mutual disputes The tehsildar has maximum information about the difficulties and problems that come up in revenue related cases. He said that even today several pre-independence land transfer cases are under consideration in several states. Smt. Patel said that files should not be left pending. She told the officers to search for solutions to dispose the files after meeting the senior officials and ministers. She told them to pay more attention to dedication, time and hard work. The Governor told the trainee officers to respect all those who come to them and behave well with them. She told them to settle the cases of villagers, poor and exploited on priority. She told them to make efforts for peace, prosperity and progress of the citizens of the district where they are posted. A committee should be constituted under the guidance of senior officers to stop incidents of harassment of junior officers, she said. Fulfil the responsibility of taking the government schemes to the ground level citizen through a project.